ProSupps HydroBCAA is here to change the way that you think about amino acid supplementation. For years, BCAA supplements reigned as king and rightfully so with strong research data supporting the key role they play. However, these supplements utilizing BCAAs alone are missing something essential. Literally speaking, they fail to include EAA as well in the formula which can actually cause more harm than good! With research comes innovation and with innovation comes HydroBCAA, the complete amino acid matrix formula that utilizes the power of both a research validated 2:1:1 ratio branched chain amino acids (BCAA) to deliver the comprehensive solution for preventing muscle breakdown and speeding exercise recovery. The complete amino acid matrix of HydroBCAA contains both BCAA and EAA, a crucial aspect of formulation that ensures you are maximizing protein synthesis, supporting lean muscle, improving glucose uptake and insulin sensitivity, decreasing post-training soreness and preventing muscle breakdown. 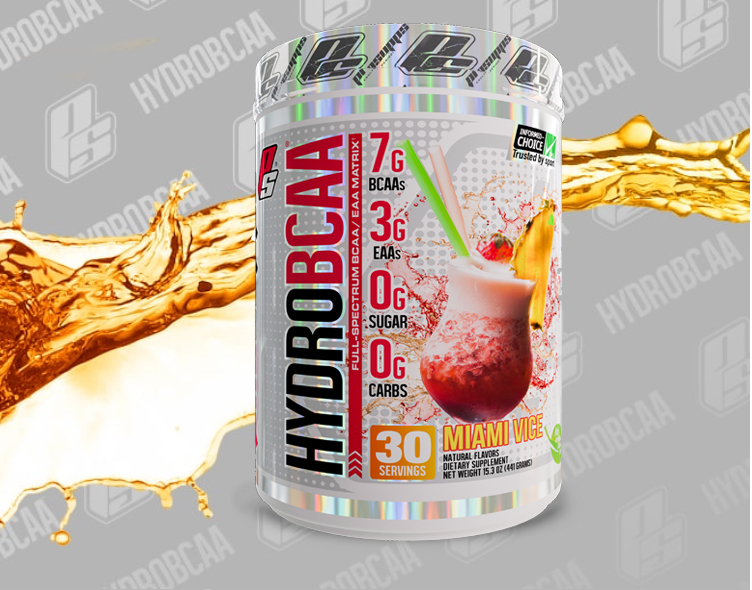 HydroBCAA contains both BCAAs and EAAs, a crucial aspect of formulation that helps ensure you are maximizing protein synthesis, supporting lean muscle, improving glucose uptake and effectively utilizing insulin, and supporting post-workout recovery. HydroBCAA also includes valuable electrolytes to help improve and maintain hydration both during and after exercise.